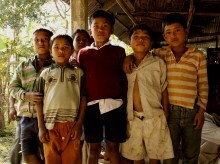 Panos South Asia’s (PSA) Relay programme is based in India’s Northeast region. From 2006 activities have been concentrated in Assam, Manipur, Megalahya and Nagaland. Work has also taken place in Jammu and Kashmir and Bangladesh. Relay has a strong reputation in the region as a neutral intermediary who can provide safe spaces for multi-stakeholder dialogue and bring together different ethnic, and professional, communities including journalists, activists, and researchers. This leads to new ideas and solutions and diffuses sensitive issues. An example of outreach is Ishan, a popular publication containing translations of research on specific issues into Assamese. It is well received by readers, particularly journalists who use it as a source for stories. Relay also supports journalist fellows in Northeast India to develop a series of outputs over a 3-6 month period. This gives journalists time to develop story ideas, identify research and develop relationships with researchers who can offer new angles and evidence. Journalists also undertake field visits to speak to those most affected by the issues. Panos South Asia’s Relay is focussing on the contentious issue of mega-dams in Northeast India. As India’s race for economic development intensifies, the country’s thirst for power generation has dramatically increased. One of the ways India is plugging this gap is through building mega-dams to generate hydro-electric power. Due to the Northeast’s topography, the state is rolling out several plans to build more dams in the region. This Wellcome Trust funded-pilot project worked with researchers, journalists, publics and affected communities in Bangladesh to spark informed and inclusive debate on sexual and reproductive health (SRH) information, rights and access to services, informed by health research. The project was carried out by Panos London in partnership with Panos South Asia and BRAC School of Public Health, Dhaka, Bangladesh.